Match ends, Skenderbeu Korce 1, Young Boys 1. Second Half ends, Skenderbeu Korce 1, Young Boys 1. Attempt blocked. Roger Assalé (Young Boys) right footed shot from the centre of the box is blocked. Assisted by Jean-Pierre Nsamé. Foul by Gledi Mici (Skenderbeu Korce). Moumi Nicolas Ngamaleu (Young Boys) wins a free kick in the attacking half. Kristi Vangjeli (Skenderbeu Korce) wins a free kick in the defensive half. Foul by Jean-Pierre Nsamé (Young Boys). Attempt saved. Jean-Pierre Nsamé (Young Boys) right footed shot from a difficult angle on the left is saved in the centre of the goal. Assisted by Sekou Sanogo. James Adeniyi (Skenderbeu Korce) wins a free kick in the attacking half. Foul by Kevin Mbabu (Young Boys). Bakary Nimaga (Skenderbeu Korce) is shown the yellow card. Foul by Bakary Nimaga (Skenderbeu Korce). Michel Aebischer (Young Boys) wins a free kick in the defensive half. Afrim Taku (Skenderbeu Korce) wins a free kick in the defensive half. Foul by Christian Fassnacht (Young Boys). Attempt blocked. Roger Assalé (Young Boys) right footed shot from the centre of the box is blocked. Assisted by Kevin Mbabu with a cross. Attempt missed. Ali Sowe (Skenderbeu Korce) right footed shot from outside the box is high and wide to the right. Assisted by Gledi Mici. Ali Sowe (Skenderbeu Korce) wins a free kick in the attacking half. Foul by Sekou Sanogo (Young Boys). Substitution, Skenderbeu Korce. Bruno Dita replaces Gjergji Muzaka. Substitution, Young Boys. Kevin Mbabu replaces Sven Joss. Goal! Skenderbeu Korce 1, Young Boys 1. Roger Assalé (Young Boys) right footed shot from the centre of the box to the bottom right corner. Assisted by Moumi Nicolas Ngamaleu. Attempt missed. Jean-Pierre Nsamé (Young Boys) right footed shot from the centre of the box misses to the left. Assisted by Sven Joss with a cross. Substitution, Young Boys. Christian Fassnacht replaces Thorsten Schick. Substitution, Young Boys. Jean-Pierre Nsamé replaces Miralem Sulejmani. Bajram Jashanica (Skenderbeu Korce) wins a free kick in the defensive half. Foul by Moumi Nicolas Ngamaleu (Young Boys). Foul by Afrim Taku (Skenderbeu Korce). Substitution, Skenderbeu Korce. Bakary Nimaga replaces Suad Sahiti. Foul by Fidan Aliti (Skenderbeu Korce). Miralem Sulejmani (Young Boys) wins a free kick on the right wing. Goal! Skenderbeu Korce 1, Young Boys 0. Ali Sowe (Skenderbeu Korce) right footed shot from the centre of the box to the bottom right corner. Assisted by Suad Sahiti with a through ball. Attempt saved. Marco Bürki (Young Boys) left footed shot from the left side of the box is saved in the centre of the goal. Assisted by Thorsten Schick. Foul by Suad Sahiti (Skenderbeu Korce). Marco Bürki (Young Boys) wins a free kick on the left wing. Attempt missed. Roger Assalé (Young Boys) right footed shot from long range on the left misses to the right. Assisted by Marco Bürki. Attempt missed. Michel Aebischer (Young Boys) right footed shot from the centre of the box is close, but misses to the right. Assisted by Roger Assalé. Hand ball by Sabien Lilaj (Skenderbeu Korce). Attempt blocked. Ali Sowe (Skenderbeu Korce) right footed shot from the centre of the box is blocked. Assisted by Afrim Taku with a cross. Corner, Skenderbeu Korce. Conceded by Steve Von Bergen. Gledi Mici (Skenderbeu Korce) wins a free kick in the defensive half. Foul by Sven Joss (Young Boys). Second Half begins Skenderbeu Korce 0, Young Boys 0. First Half ends, Skenderbeu Korce 0, Young Boys 0. Offside, Young Boys. Miralem Sulejmani tries a through ball, but Gregory Wüthrich is caught offside. Foul by Gjergji Muzaka (Skenderbeu Korce). Michel Aebischer (Young Boys) wins a free kick in the attacking half. Attempt missed. Moumi Nicolas Ngamaleu (Young Boys) right footed shot from outside the box is high and wide to the right. Assisted by Roger Assalé. Attempt missed. Kristi Vangjeli (Skenderbeu Korce) right footed shot from outside the box is too high. Assisted by James Adeniyi. Attempt missed. Gregory Wüthrich (Young Boys) right footed shot from outside the box is high and wide to the right. Assisted by Roger Assalé. Attempt missed. Miralem Sulejmani (Young Boys) left footed shot from the right side of the box is close, but misses to the right. Assisted by Moumi Nicolas Ngamaleu. Suad Sahiti (Skenderbeu Korce) wins a free kick on the left wing. Foul by Miralem Sulejmani (Young Boys). Gledi Mici (Skenderbeu Korce) wins a free kick on the left wing. Attempt missed. Moumi Nicolas Ngamaleu (Young Boys) right footed shot from the right side of the box is close, but misses to the right. Assisted by Miralem Sulejmani with a through ball. Corner, Skenderbeu Korce. Conceded by Gregory Wüthrich. Roger Assalé (Young Boys) is shown the yellow card for hand ball. Hand ball by Roger Assalé (Young Boys). Foul by Ali Sowe (Skenderbeu Korce). Marco Bürki (Young Boys) wins a free kick in the defensive half. Foul by Steve Von Bergen (Young Boys). Delay in match Bajram Jashanica (Skenderbeu Korce) because of an injury. Attempt missed. Bajram Jashanica (Skenderbeu Korce) header from the centre of the box is just a bit too high. Assisted by Gjergji Muzaka with a cross following a corner. Corner, Skenderbeu Korce. Conceded by Sven Joss. Attempt blocked. Sabien Lilaj (Skenderbeu Korce) right footed shot from outside the box is blocked. Assisted by Gjergji Muzaka. Corner, Skenderbeu Korce. Conceded by David Von Ballmoos. Attempt saved. Ali Sowe (Skenderbeu Korce) right footed shot from the centre of the box is saved in the centre of the goal. Assisted by James Adeniyi with a through ball. Attempt saved. Ali Sowe (Skenderbeu Korce) right footed shot from the left side of the box is saved in the centre of the goal. Assisted by Gledi Mici. Offside, Skenderbeu Korce. Kristi Vangjeli tries a through ball, but Ali Sowe is caught offside. Substitution, Skenderbeu Korce. Afrim Taku replaces Enis Gavazaj because of an injury. Attempt missed. Michel Aebischer (Young Boys) right footed shot from outside the box is high and wide to the right. Foul by Kristi Vangjeli (Skenderbeu Korce). Sven Joss (Young Boys) wins a free kick in the defensive half. Delay in match Enis Gavazaj (Skenderbeu Korce) because of an injury. Attempt saved. 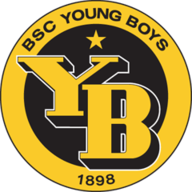 Sekou Sanogo (Young Boys) header from very close range is saved in the centre of the goal. Corner, Young Boys. Conceded by Fidan Aliti. Attempt blocked. Sekou Sanogo (Young Boys) header from the centre of the box is blocked. Assisted by Miralem Sulejmani with a cross. Corner, Young Boys. Conceded by Kristi Vangjeli. Attempt blocked. Sekou Sanogo (Young Boys) left footed shot from the centre of the box is blocked. Assisted by Sven Joss. Corner, Young Boys. Conceded by Bajram Jashanica. Offside, Skenderbeu Korce. Gledi Mici tries a through ball, but Fidan Aliti is caught offside. Enis Gavazaj (Skenderbeu Korce) wins a free kick in the defensive half. Foul by Marco Bürki (Young Boys). Offside, Young Boys. Sekou Sanogo tries a through ball, but Roger Assalé is caught offside. Attempt blocked. Sekou Sanogo (Young Boys) header from the centre of the box is blocked. Assisted by Thorsten Schick with a cross. Corner, Young Boys. Conceded by Gledi Mici. Foul by Bajram Jashanica (Skenderbeu Korce). Sven Joss (Young Boys) wins a free kick in the attacking half. Gjergji Muzaka (Skenderbeu Korce) wins a free kick on the right wing.